« Baby Hat Time Again! Time to pick up some red and white yarn and knit yourself up something Canadian! I am personally proud to be a Canadian and I’m pretty excited for baby Hunter’s first Canada day. She will be appropriately clad in red and white and waving a flag (while mummy makes sure she doesn’t poke herself in the eye with it….) today. There is something fantastically unique about our flag, it stands out distinctively on an encyclopedia page and the symbol of the maple leaf is easily recognizable around the world. 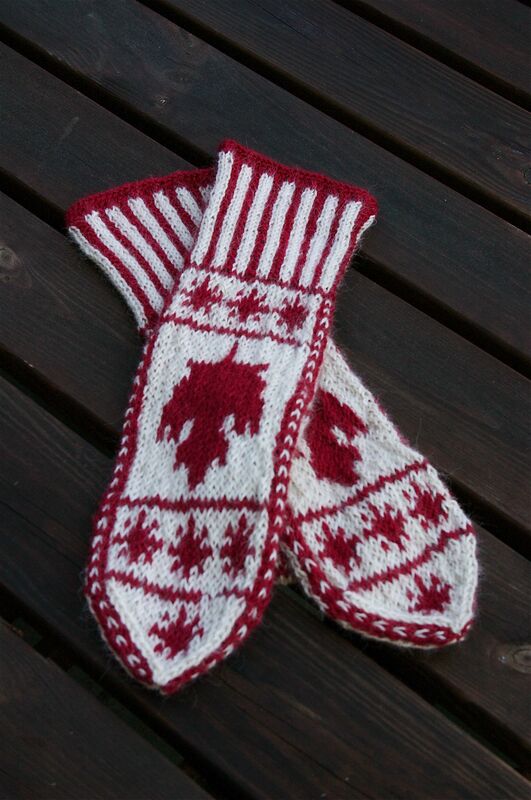 On the knitting scene there are many fantastic Canadian designers and dyers so perhaps today you might want to check out their work. 1. Fleece Artist and Handmaiden yarn, dyed in Nova Scotia for your knitting pleasure. Fleece Artist and Handmaiden are lovely hand dyed yarns that come in a wide variety of colours and fibers. 2. SweetGeorgia, dyed in Vancouver. Felicia is (obviously) one of my very favorite dyers and her ‘Unapologetic Colour’ is stunning both in the skein and on the needles. 3. Koigu handpainted sock yarn. This yarn hails from Ontario and has long been a favorite. Be sure to check out the Babette blanket in the shop, all Koigu and stunning! 4. Gourmet Crafter Yarns. This is my own line of yarns with colourways based on photographs I have taken around town. Perhaps some Davie Street or Granville Island Cherries to make you feel Canadian! This entry was posted on Friday, July 1st, 2011 at 9:53 am	and is filed under Uncategorized. You can follow any responses to this entry through the RSS 2.0 feed. Both comments and pings are currently closed.